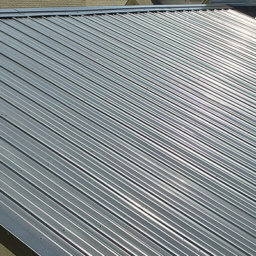 Insulated metal panels (IMP’s) are an ideal roofing solution for commercial, industrial and agricultural steel buildings. 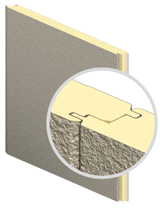 Foam insulated panels help to increase energy efficiency and offer high r-values up to R-48. 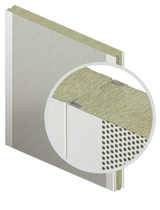 Insulated metal panels are designed to create a weather seal and reduce air leakage throughout the building. 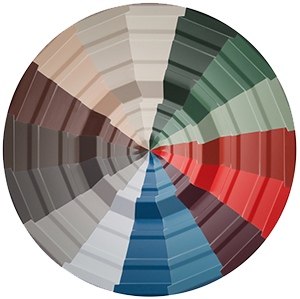 There are several roof and wall finishes to choose from to give your building a finished look. Long lasting Kynar paint systems hold up well against weathering and fading from the Sun’s UV rays. They are available in lengths up to 50’, and may also incorporate end lap joints for longer roof runs. 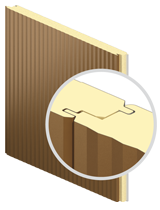 Panel thicknesses are from 2” through 6”, with R values of approximately 7.5 per inch. Structural alignment – IMPs are flexible, but not as flexible as single skin roofs. 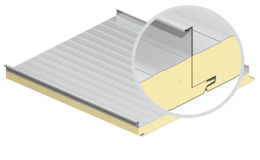 Proper structural alignment for metal roof panels support is 0” inward and ≤ ½” outward of the roof plane. Failure to properly align structural components to recommended tolerances can result in difficulty engaging the panels. When attaching the IMP’s make sure that the panels follow the contour of roof purlins. When the next panel is put in place, engagement can become difficult if the original panel is shaped by structural misalignment. 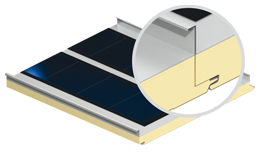 Seaming issues – roof leaks may result if panel side laps do not align properly due to variances in the roof plane. 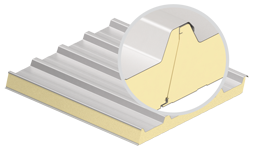 Standing seam roofs will not seam together correctly if panels are not properly aligned. 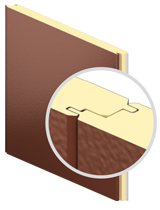 – Aesthetic issues, particularly at end walls where cut panels may have to be skewed to fit. 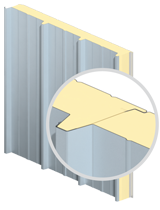 – End lap joint problems where panel splices are not properly located over underlying purlins and support angles. 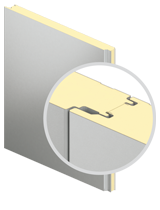 – Vapor seal issues where splice plates do not mate properly at end lap locations. Each of these improper techniques can result in poor panel performance. 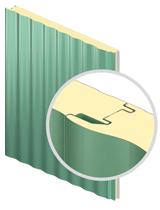 Properly aligned secondary supports allow panels to easily engage without undue force, providing properly sealed envelope. 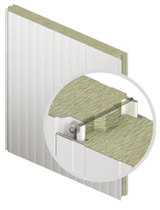 It is critical to remember that there are two important locations that must be sealed when installing insulated metal panels. The exterior face is where the weather stripping should be installed, and the vapor seals should be put onto the interior face. 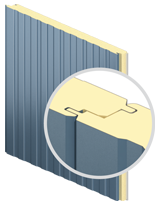 Due to the composite nature of Insulated Metal Panels, the liner side skin and foam must be removed to access the underside of the exterior sheet at all lapped locations. Shingling of the exterior sheet is required to properly weather seal the End Laps, Roof Curbs and Gutters. Copyright © 2011 Building Outlet Corp.